Check back often, new speakers are added weekly. Harriet Able is a parent of a young adult with high functioning autism. She has been an advocate for promoting quality inclusive experiences for him from early intervention to college. In addition, she is a professor of special education and early childhood at the University of North Carolina at Chapel Hill. Ennis C. Baker, MSW, LCSW is the project director for the Building Capacity for Trauma-Informed Infant & Toddler Care: A Professional Development Framework project, providing leadership for this new collaborative project that leverages existing resources to craft a professional development framework focused on trauma-informed practice in infant/toddler child care. She specializes in early childhood mental health, and from 1999-2018 served as a manager and mental health specialist for Orange County Head Start/Early Head Start in Chapel Hill, NC. In this role, she provided leadership and early childhood mental health consultation to program staff and families. 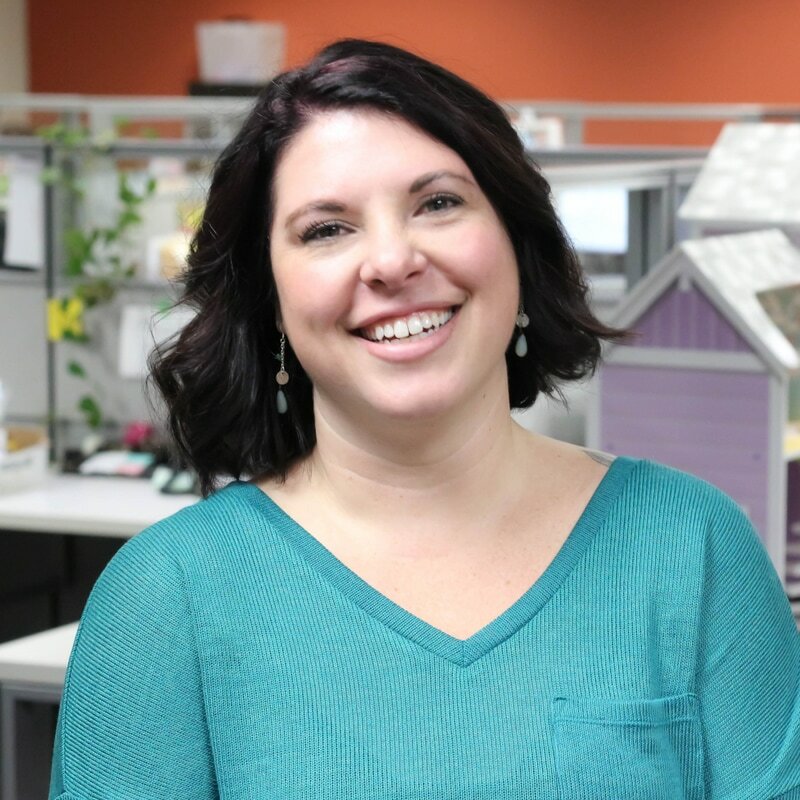 Amy is the Operations Director for Northwest Center’s two inclusive early learning programs for children aged birth to five and the Program Supervisor for IMPACT (Inclusion Mentorship Program for Increasing Access in Childcare Team). She supports a team of educators and inclusion specialists create positive and supportive environments where children of all abilities thrive and are active participants in their classrooms. Amy holds a Master of Arts in Clinical Psychology with a specialization in Childhood Psychopathology and Child Development. Amy has over 10 years’ experience supporting children and families through early learning programs, day treatment preschool settings, and providing direct therapeutic services to children and families. 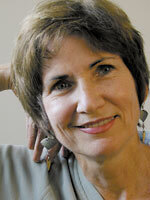 Kim Black has taught dance and creative movement for 32 years in NC. She is currently the Children’s Ballet Director at Burlington Dance Center and the Creative Movement teacher at The Burlington School. “Miss Kim” was awarded Dance Teacher of the Year by Discount Dance Supply this year. She has started and integrative dance class called “A Time To Shine” for children with special needs. 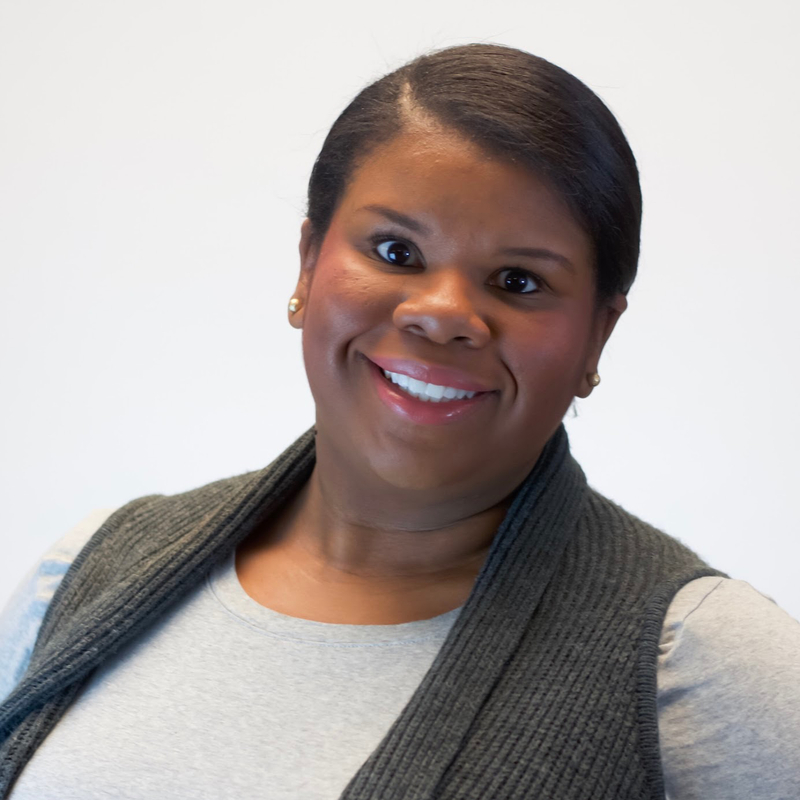 Sheresa Blanchard, Ph.D., is an assistant professor in birth through kindergarten at East Carolina University in the department of Human Development and Family Science. Her research and teaching focus on family/community engagement, cultural reciprocity, and improving teacher preparation competencies through the lenses of intersectionality, equity, diversity, and social justice. Dr. Blanchard’s scholarly interests emerged from her 10 years of experience as a practitioner and consultant in early childhood, special education, and early intervention. She received her doctoral degree in Specialized Education Services from the University of North Carolina at Greensboro. 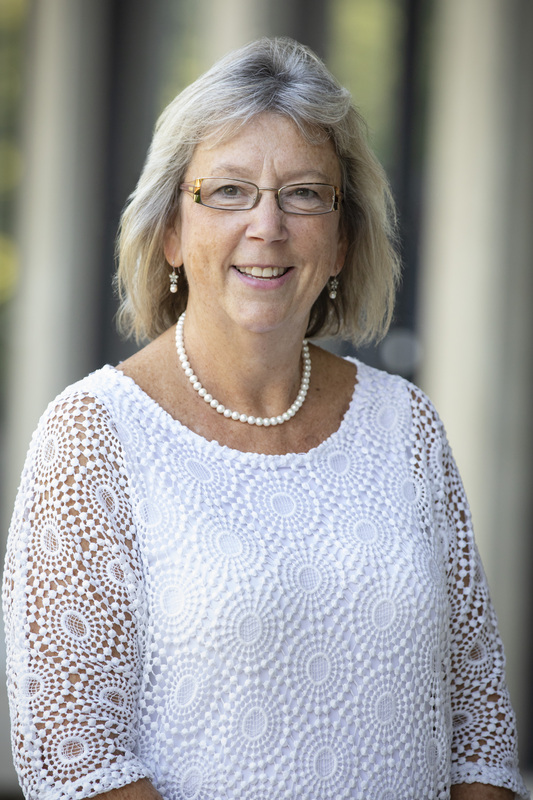 Dr. Blanchard currently serves as a member of the North Carolina Early Childhood Foundation board and co-chairs the Division for Early Childhood’s Inclusion, Equity, and Social Justice Committee. She is actively engaged with the North Carolina’s early intervention systemic improvement efforts, as well as other local, regional, and national early childhood initiatives. 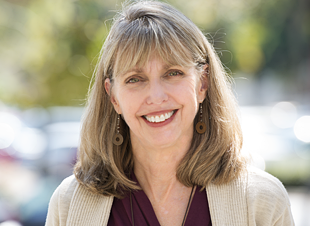 Karen Bluth, Ph.D has been practicing mindfulness for over 35 years with weekly mindfulness meditation groups and has attended numerous mindfulness retreats during that time. She co-founded the Knoxville Interfaith Meditation Group in 1994, and practiced regularly with this meditation group for 18 years. Dr. Bluth received her mindfulness instructor training at the Center for Mindfulness at University of Massachusetts Medical School, and her Mindful Self-Compassion training and Mindful Self-Compassion Teacher Training. Dr. Bluth’s research focuses on improving well-being through mindfulness and self-compassion interventions. With colleagues at University of California at San Diego and University of Texas, Austin, Dr. Bluth is currently adapting and pilot-testing the adult Mindful Self-Compassion program for an adolescent population. In addition to her mindfulness training, Dr. Bluth is a former teacher with 18 years classroom teaching experience. Deric J. Boston, LCSW, is a Licensed Clinical Social Worker working for Durham Head Start & Early Head Start in Durham NC supporting early education classrooms for inclusion. He also teaches social work practice classes at NC State University. Deric has experience in mental health and behavioral health consultation for early education, clinical practice with young children, family and individual mental health treatment, and marriage/couples therapy. Amanda Bryans has worked in the Office of Head Start, Administration for Children and Families, Department of Health and Human Services since 1999. During that time, she has led efforts to improve the quality and effectiveness of program services through regulations, research, program monitoring and training and technical assistance. She currently is the Director Research Analysis and Communication, Office of Early Childhood Development, U.S. Department of Health and Human Services. Amanda has a BS from Cornell University in Human Development and Family Studies and an MS from the State University of New York at Albany in Educational Psychology, Measurement and Statistics. She has worked for Head Start for 25 years including five years as a Disabilities Services and Education Coordinator, and five years as the Director of the Head Start program in Albany, NY. Michelle Burg Little has devoted 35 years of her life to young children and their families. She has served as a Preschool through Grade Three teacher, an Early Childhood administrator, and an elementary school principal. Michelle feels honored to provide Technical Assistance to a large urban district in RI through the RI Itinerant Early Childhood Special Education Initiative (RI-IECSE). She views inclusion as a civil rights issue. Always learning! Dr. Carta is a Senior Scientist in the Institute for Life Span Studies at the University of Kansas. Her research interests include tiered intervention models for advancing children’s language, early literacy, and social-emotional development, methods for monitoring children’s progress, and community-wide interventions for promoting early learning. She was the co-Director of the Center for Response to Intervention in Early Childhood and currently co-directs the Bridging the Word Gap Research Network. 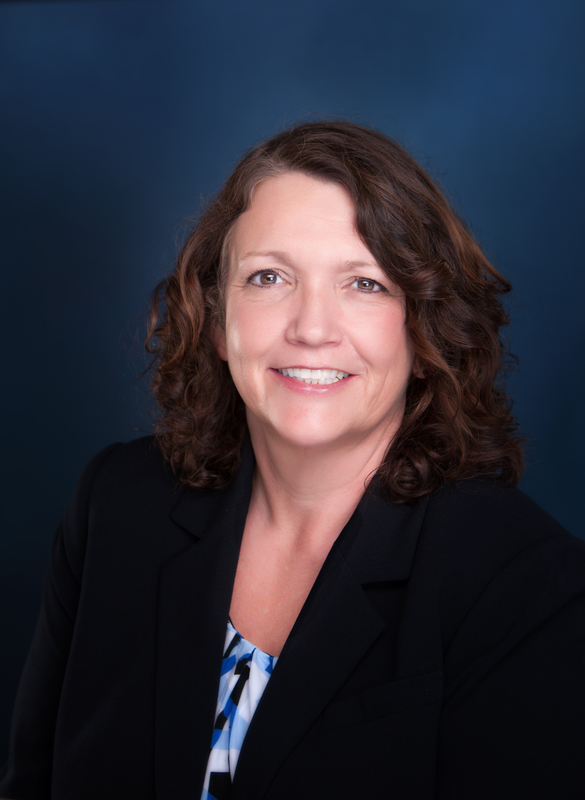 Debbie Cate is a technical assistance (TA) specialist with the Frank Porter Graham Child Development Institute (FPG) at the University of North Carolina (UNC) with the Early Childhood Technical Assistance Center (ECTA) and the IDEA Data Center (IDC). Her current work supports states in collecting, reporting and using data to inform and improve state systems provision of Individuals with Disabilities Education Act, (IDEA) services for young children and their families. Camille Catlett is based at the Frank Porter Graham Child Development Institute, where she has worked for the past 25 years on projects and models to prepare early childhood and early childhood special education professionals to work with young children of diverse cultures, languages, and abilities and their families. With amazing colleagues, Camille spearheaded the development of a model for supporting explicit and intentional enhancements in higher education programs that has been or is being replicated in ten states. Camille is a frequent presenter at state, national, and international conferences. She coordinates four national listservs and authors a regular column on implementing evidence-based practices in Young Exceptional Children. Isabel Chica is Director of Children’s Programs for the Miami Lighthouse for the Blind and Visually Impaired. Ms. Chica earned a B.S. degree in Education and a Master’s of Science in Education from Florida International University with 25 years’ experience in education. She joined Miami Lighthouse for the Blind and Visually Impaired in 2003 and has been instrumental in the creation and expansion of programs and services for blind and visually impaired children and their families including the center’s inclusion model. Ms. Chica is certified in Vision In-Service in America (VIISA), In-home Sensory Impaired Training and Education (INSITE), and Infant and Toddler Developmental Specialist (ITDS). Research-based practices for supporting students with and without visual impairments. Julie has worked in the field of Early Childhood for 25 years as a family child care provider, infant teacher, center director, Infant Toddler Specialist before moving into her current position as an Infant Toddler Education Manager. Julie graduated from Youngstown State University with an Associate Degree in Prekindergarten Education, Ashford University with a Bachelor’s Degree in Organizational Management and Northcentral University with a Master’s Degree in Early Childhood Education. Dr. Catherine Corr is an Assistant Professor in the Department of Special Education. 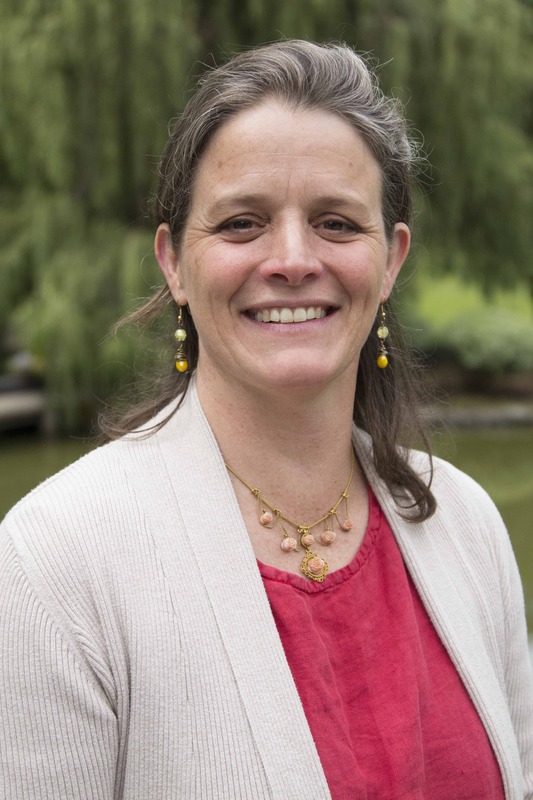 Dr. Corr’s research focuses on the wellbeing of young children with disabilities and their families who are experiencing poverty, toxic stress, and trauma. She has published and presented extensively on these topics. Additionally, she has had many opportunities to work across disciplines at the local, state, and national levels to support vulnerable and underserved young children in varied early childhood contexts. She chaired the development team for the Council for Exceptional Children’s position statement on child maltreatment. 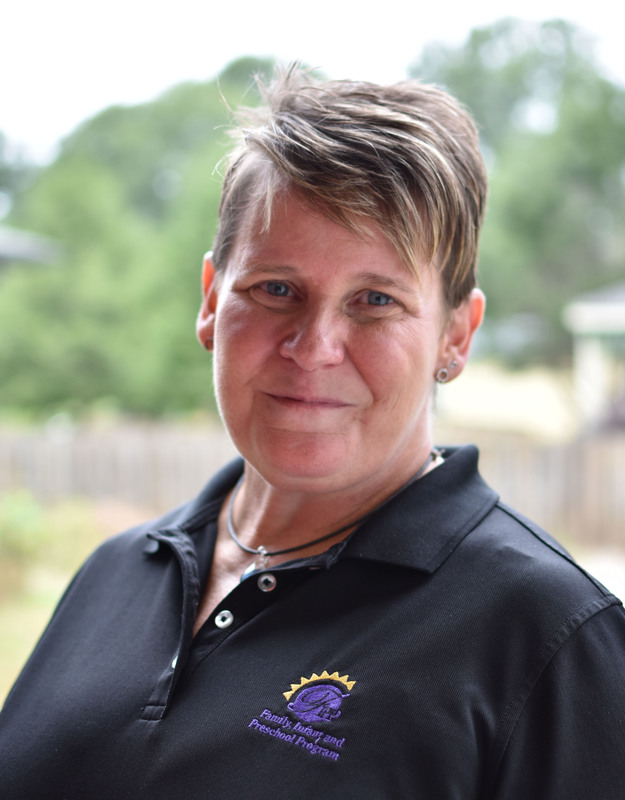 Carolyn Crowder is a Licensed Clinical Social Worker, Licensed Clinical Addictions Specialist, and Certified Clinical Supervisor with 20 years of experience working with individuals who have mental health and substance use diagnoses. She is the Director of Behavioral Health at Lincoln Community Health Center, a large urban primary care “safety net” provider in Durham, North Carolina that serves approximately 34,000 patients annually. Carolyn supervises MSW students from the UNC School of Social Work and North Carolina Central University School of Social Work, as well as individuals in the community who are working towards full licensure in Social Work and Addictions. Carolyn has also worked in a variety of other settings over the years, including non-profit and for-profit agencies and State and County government. She has been a part of research teams for multi-site federal research studies with the CDC and with SAMHSA. She is the choir director and pianist for Dukes Chapel United Methodist church in Durham, NC. Kris Earl is Regional Consultant with NC Early Learning Network at UNC Chapel Hill. She has a Doctorate degree in Educational Leadership, with graduate and undergraduate certification in school administration, various areas of special education and early education. Most of her career has been working in a local school district in various administrative, support, and teaching roles within the area of special education. 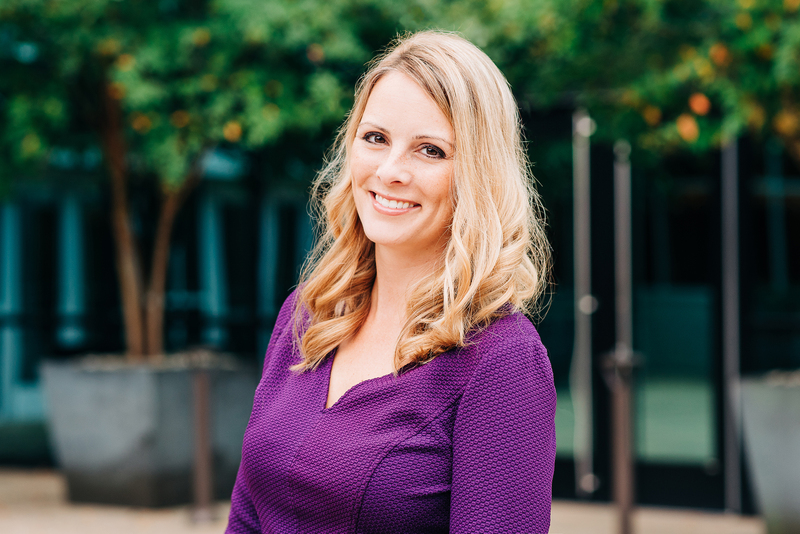 As the Higher Education Outreach and Implementation Manager for the EarlyEdU Alliance®, Katie is responsible for outreach to key stakeholders at the state level and faculty and administrators at higher education institutions. Katie has a PhD in educational psychology, with a focus on early childhood special education and mental health, and an M.Ed. in early intervention and family support. Katie has worked with children, families, teachers, and organizations to develop strong relationships for learning and well-being. Kris Everhart, M.S., CCC-SLP is a speech-language pathologist and the Professional Development Coordinator at the Family, Infant and Preschool Program (FIPP) in Morganton, North Carolina. Ms. Everhart has almost 20 years of early intervention experience serving in a variety of roles across an array of settings. As a provider, and a parent, Ms. Everhart consistently embraces and advocates for the inclusion of all learners in regular classrooms. Paddy C. Favazza is Professor of Special Education at Stonehill College and Senior Research Fellow at the University of Massachusetts Boston. Her research focuses on attitude development and curriculum to support inclusion of children with disabilities in their development of social, motor and readiness skills. She co-authored Making Friends (2016), a program that supports K-2 teachers in creating a sense of belonging for children with disabilities in inclusive classrooms. 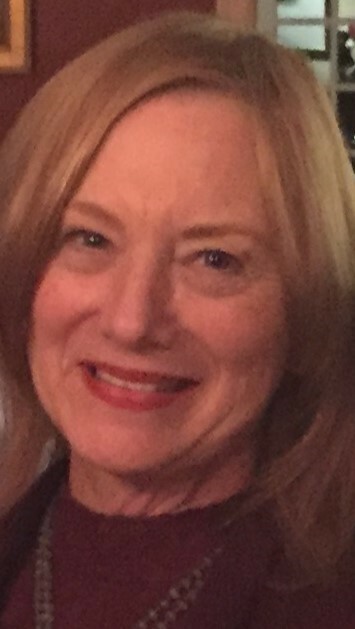 Lise Fox, Ph.D., is a Professor in the Department of Child and Family Studies and the principal investigator of the OSEP-funded National Center for Pyramid Model Innovations (NCPMI) and a faculty member with the OSEP-funded Early Childhood Technical Assistance Center (ECTA). She is currently engaged in research and technical assistance projects related to the state, program, and classroom implementation of the Pyramid Model to promote young children’s social emotional competence and address challenging behavior. Dr. Kate Gallagher is the Director of Research and Evaluation at the Buffett Early Childhood Institute at the University of Nebraska. 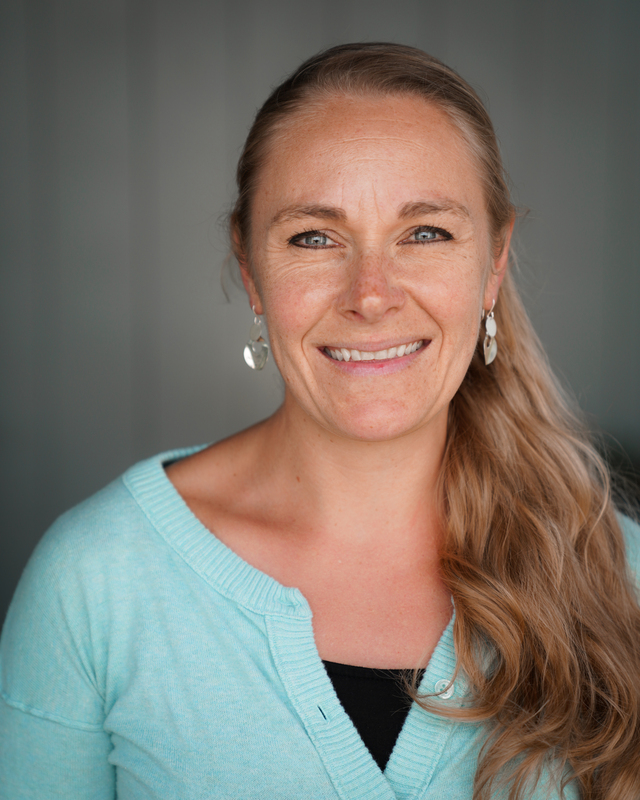 An educational psychologist and early childhood professional, Kate has over 20 years’ experience teaching, home visiting, and leading early childhood programs. With an applied research focus on young children 0-8 years and their families, Kate examines practices, programs, and policies that align systems to support children’s development and learning, particularly in the contexts of adversity. 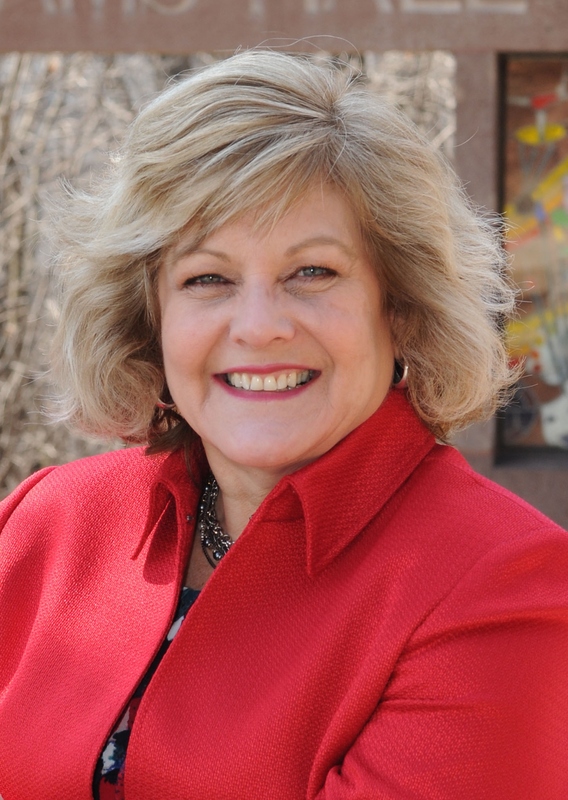 Ruth Gallucci has served as Rhode Island’s 619 Coordinator for the last eight years. She coordinates IDEA early childhood special education (ECSE) initiatives relative to child outcomes, EC environments, transition from EI and developmental screening. Ruth has recently introduced “Rhode Island’s Itinerant Early Childhood Special Education (RI IECSE) Service Delivery Model” and coordinated the creation of the associated professional development and technical assistance supports. She represents early childhood special education on several state committees and serves as Vice-Chair and Executive Council member of the National Association of State Directors of Special Education (NASDSE) 619 Affinity Group. 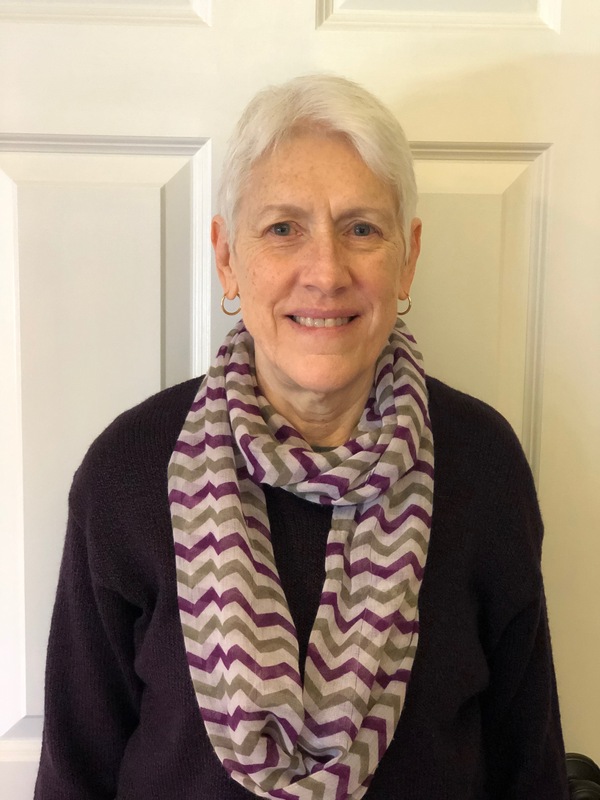 Ruth has lead multiple statewide initiatives such as the creation of a comprehensive ECSE assessment system, the development of ECSE core competencies and the design and establishment of a data system for developmental screening results. Pau García Grau is a postdoctoral fellow in the Department of Special Education and Multiple Abilities at The University of Alabama, where he has conducted research on family quality of life in early intervention and social-skill interventions for children with autism. He provides training and technical assistance on the Routines-Based Model around the world, including Alabama, Paraguay, and Spain. He collects beer bottle labels wherever he travels. Margaret C. Gillis, Ph.D., is a Senior Education Researcher at SRI International and provides technical assistance for the Center for IDEA Early Childhood Data Systems (DaSy) and the National Center for Systemic Improvement (NCSI), working with states to increase their capacity to collect and use data to answer key policy and programmatic questions. She has over 15 years of experience in inclusive early childhood education, early intervention, and workforce development. Julie Goggin is currently a professional development and technical assistance provider with Rhode Island’s Itinerant Early Childhood Special Education (RI-IECSE) initiative at the Rhode Island Department of Education. In this role, she supports two school districts with the implementation of the model. She also provides IECSE professional development to early childhood educators, administrators, and preschool special education staff. Prior to her work with the state, Julie was a preschool special education teacher in an inclusive classroom and a developmental screening coordinator. Amy Grattan has worked at the Sherlock Center on Disabilities at Rhode Island College for the last 11 years. 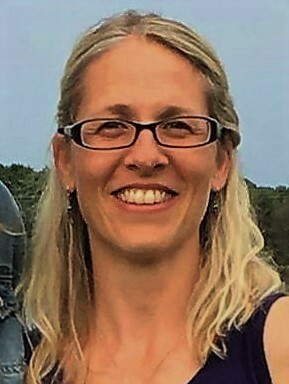 She has provided consultation to the RI State Department of Education in the development and implementation of state initiatives including the Itinerant Early Childhood Special Education service delivery model, RI Early Learning and Development Standards professional development and the Comprehensive Early Childhood Preschool Approval System. 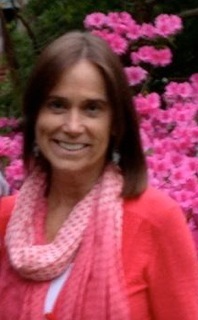 Amy teaches at Rhode Island College in the Special Education and Early Childhood departments. She has recently received her Doctorate in Education. Co-Presenter: Assessing Quality Inclusion: What’s Next? Aron Hall, Director of Programs, coordinates the National Inclusion Project’s Let’s ALL Play partnership programs and trainings as well as ongoing program development. A graduate of N.C. State University, Aron has had multiple experiences in education and recreational programs. 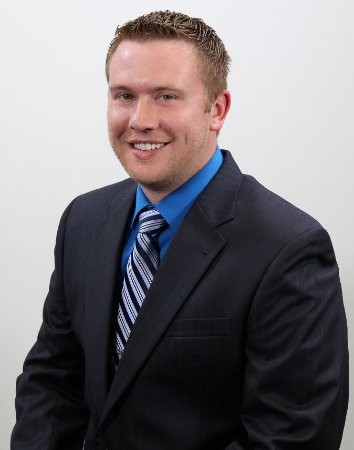 Aron is a member of the Advisory Board for the National Alliance for Accessible Golf. 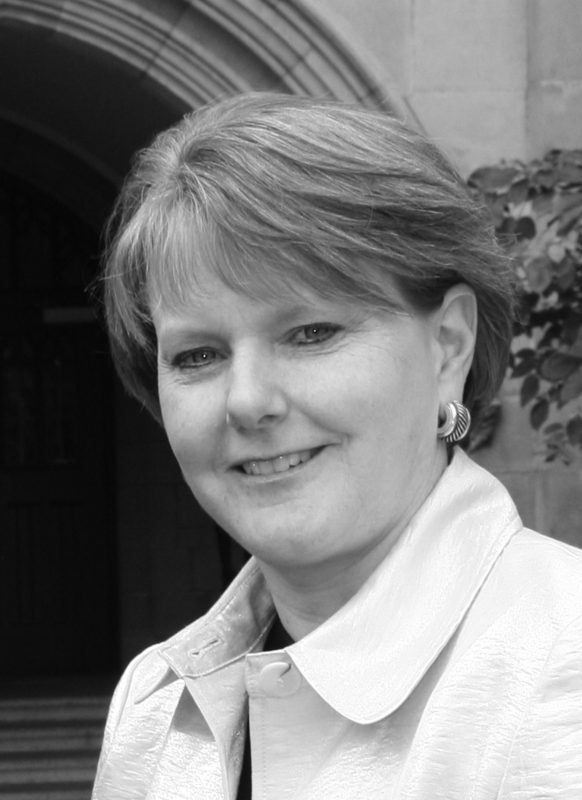 Kathleen Hebbeler, Ph.D., is a Senior Principal Researcher at SRI International. She has over 30 years of experience in research and evaluation of education, health, and social programs for young children and their families. 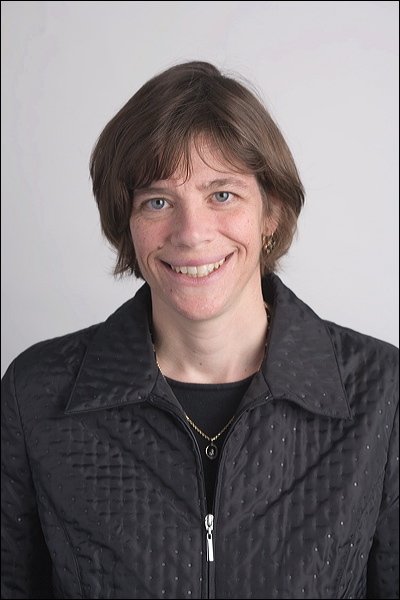 Dr. Hebbeler co-directs the DaSy Center and previously directed the Early Childhood Outcomes (ECO) Center, a 10-year effort to build states’ capacity to report high-quality data on outcomes for young children with disabilities and their families. 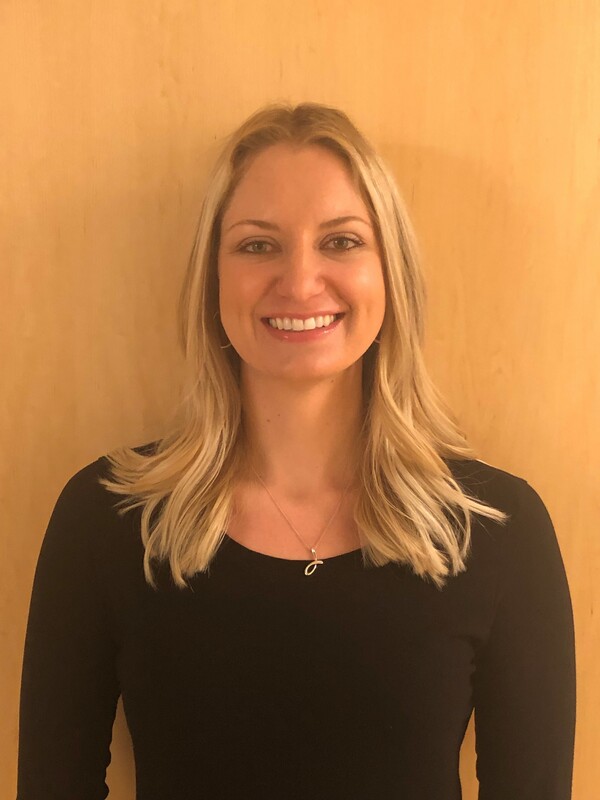 Christina Kasprzak is Division Lead for the Technical Assistance Division at the FPG Child Development Institute and is Co-Director of the Early Childhood TA Center (ECTA) funded by the Office of Special Education Programs (OSEP). For more than twenty years, she has implemented high-quality TA to support state and local early intervention and preschool special education programs to develop and manage effective and efficient systems and implement evidence-informed practices in order to improve services and outcomes for infants, toddlers, and preschoolers and their families. Peggy Kemp, Executive Director of the Division for Early Childhood (DEC), is a recognized leader and tireless advocate devoted to quality services to families of young children with disabilities and the professionals who serve them. She guides DEC’s strategic direction and oversees daily operations. Peggy has experience as a direct service provider as well as a local, state and national leader and her life experiences as a family member of persons with disabilities fuels her passion to support policies that enhance the lives of families. 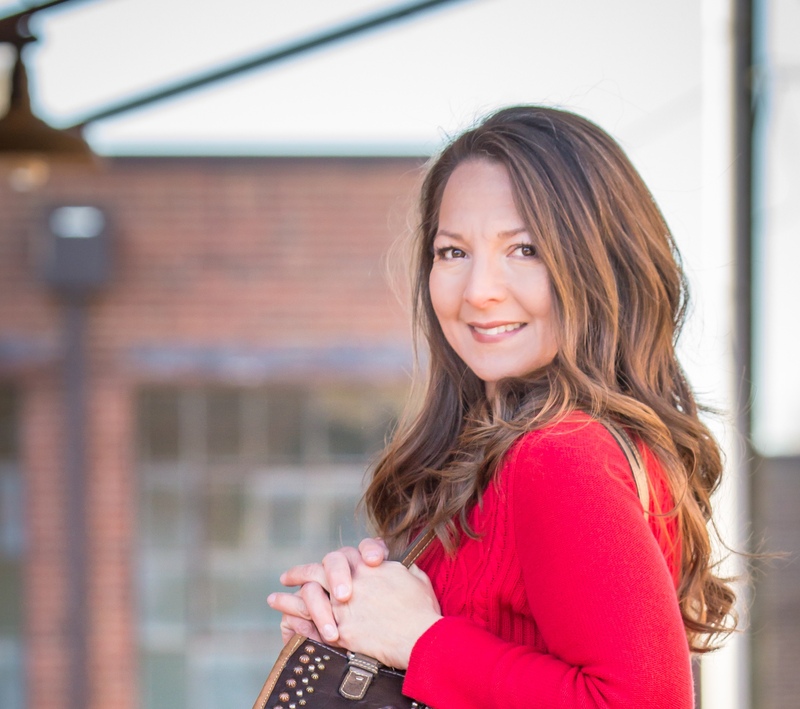 Petra Kern, Ph.D., MT-BC, MTA, DMtG, is the owner of Music Therapy Consulting, online professor at the University of Louisville, and Editor-in-Chief of imagine, the primary online magazine for early childhood music therapy. She is a former President of the World Federation of Music Therapy and currently serves on CBMT’s Board of Directors. Dr. Kern is an expert in early childhood music therapy and advocate for inclusion practices across disciplines. Laura, M.A., is the Chief Education and Therapy Officer and leads a talented team of nearly 100 teachers, therapists, and support staff to serve over 600 children annually. Through programs of early intervention therapy and inclusive early education, Laura and her team provide a comprehensive approach to ensure the inclusion of children with special needs in the classroom, community, and home setting. With over 14 years of experience, Laura has worked in a variety of settings including public schools, therapeutic child care centers, and as an early childhood classroom teacher for over 10 years. Laura holds a BS in Education/Health & Human Development from Montana State University and a Master’s Degree in Special Education from Concordia University, as well as a certification in infant and toddler development. Jani holds an MA in Child Development and has worked in the early care & education field for over 25 years. She currently serves as the Inclusion and Professional Development Systems Coordinator for the National Center on Early Childhood Development, Teaching and Learning at Zero to Three. In her spare time, Jani likes to get into adventures with her family, soak up the sun, read and travel. Dr. Jim Lesko is Director and Technical Assistance Lead for the CAMH Preschool Development Grant Birth-Five Technical Assistance (PDGB5 TA) Project. He co-lead the IDEA Section 619 Community of Practice on Inclusion within PDG states during PDG 1.0. Previously he was the Director for Office of Early Learning with the DE Department of Education overseeing services for children birth through kindergarten, specifically targeting children at risk. He developed training curriculums and provided training and technical assistance on inclusive education practices for children with disabilities in Eastern Europe. 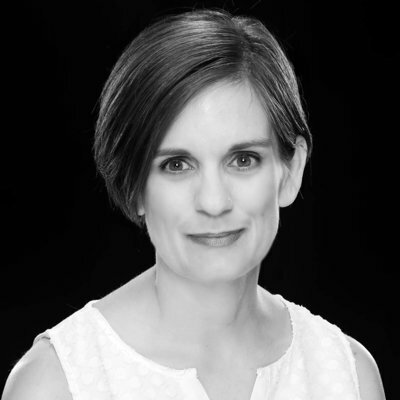 Katie Lewis is a Regional Consultant with the NC Early Learning Network at UNC Chapel Hill. Prior to joining the NC-ELN, she worked for a Local Education Agency as a Preschool Teacher, Itinerant Teacher, Preschool Program Specialist, and Director of Preschool Programs. Her skills and experiences support the Network’s commitment to providing high-quality professional development and technical assistance to early learning communities across North Carolina. Chih-Ing Lim, PhD, is the Co-Director of the STEM Innovation for Inclusion in Early Education (STEMIE) and is PI for Supporting Change and Reform in Preservice Teaching in North Carolina (SCRIPT-NC). Her research and professional interests are focused on teacher education and professional development, and developing web-based resources to support early childhood professionals to work with children with disabilities in inclusive settings. Her past projects included CONNECT Modules and Recommended Practices Modules (RPMs). Gloria Linakis is passionate about inclusion for all children. 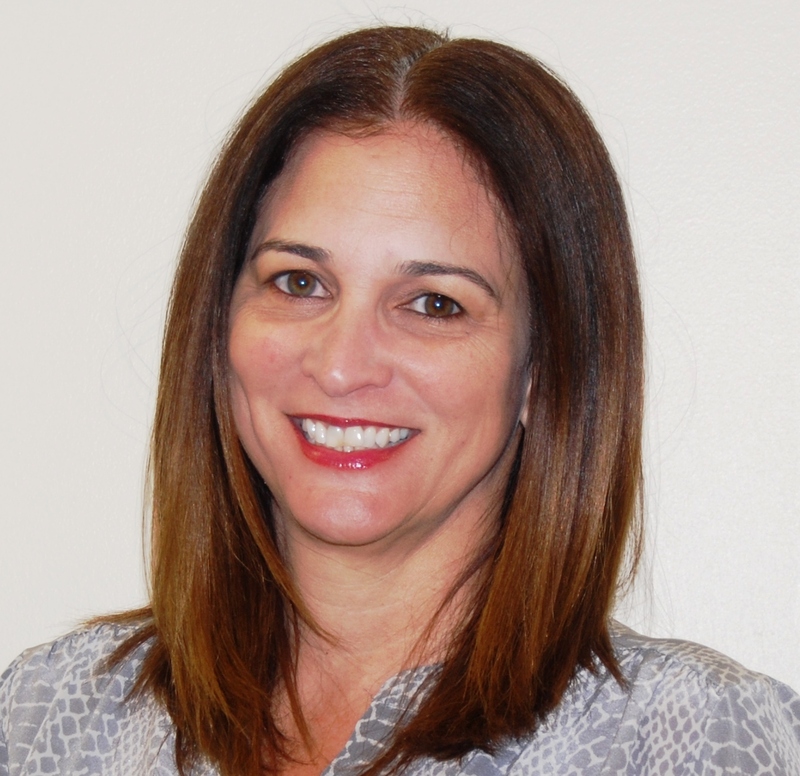 Gloria has a Master’s Degree in Early Childhood Education from Teachers College, Columbia University, and a Master’s in Special Education from Portland State University, Portland, Oregon. 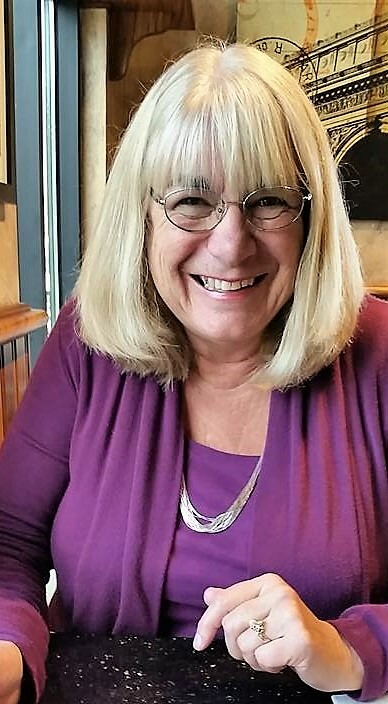 She has been an early childhood teacher for over thirty years and is currently a technical assistance provider with Rhode Island’s Itinerant Early Childhood Special Education (RI-IECSE) initiative at the Rhode Island Department of Education. Gloria is also the proud mother of five children, including a son diagnosed with ASD. Katy McCullough, MA, is an Associate Director with the Early Childhood TA (ECTA) Center within the Trohanis Technical Assistance (TA) Projects. She provides technical assistance to Early Intervention/Part C and Preschool Special Education/619 Coordinators in states supporting system change in topics such as early intervention services, finance, and early childhood inclusion. This is Freebird McKinney- A Village Teacher. First of all, in getting to know him, you need to know that he is fulfilling his ENTELECHY, on a daily basis. He was literally and figuratively, BORN TO BE A TEACHER! It is his calling, his destiny, and his purpose. As the current North Carolina State Teacher of the Year, he has had the blessing and honor of educating and inspiring countless young men and women inside and outside of the classroom, both in public high schools (for 14 years), currently at Walter M. Williams High School in Burlington, NC and at Elon University as a School of Education adjunct professor. Global Education and Service Learning are also a great passions of his working with an organization, Dustin's GreenHouse, which is a non-profit group of educators dedicated to immersing students in the experiences of international travel and service. He has travelled to Peru, Ecuador and the Galapagos Islands, South Africa, Belize, and the Yucatan, Mexico. As a “Village Teacher”, he attempts to engage his students in the “Hero’s Journey”, as they strive to understand their purpose and its meaning. He uses history, philosophy, anthropology, and sociology to help his students uncover their own individual story and then they connect it to the story of “What Does It Mean to Be Human.” Serving as NC TOY, Freebird is a board member for the NC State Board of Education, EducatiDSC_3560 Freebird and Kids.DSC_3560 Freebird and Kids.jpgjpgon NC, the NC Public School Forum, NCCAT, and the Governor's Teacher Advisory Council, and looks forward to hearing about your STORY. The Story of Building Bridges and Resiliency: Becoming the Village Teacher and Moving from "That Kid" to "That Teacher"
Robin McWilliam is a professor and department chair in Special Education and Multiple Abilities at The University of Alabama, where he founded and directs the Evidence-based International Early Intervention Office (EIEIO). 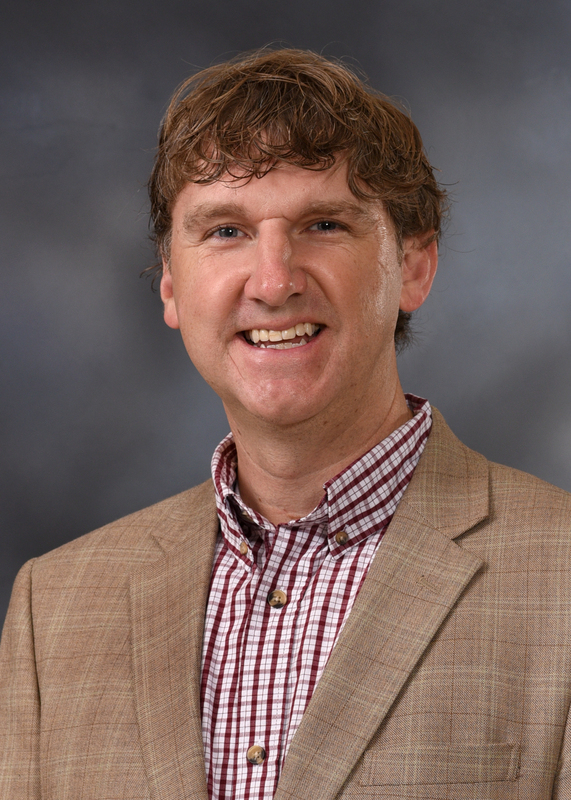 His research interests are child engagement, family-centered practices, and models of service delivery. His Routines-Based Model is implemented in 10 countries, where Robin can often be found sampling local food and drink. 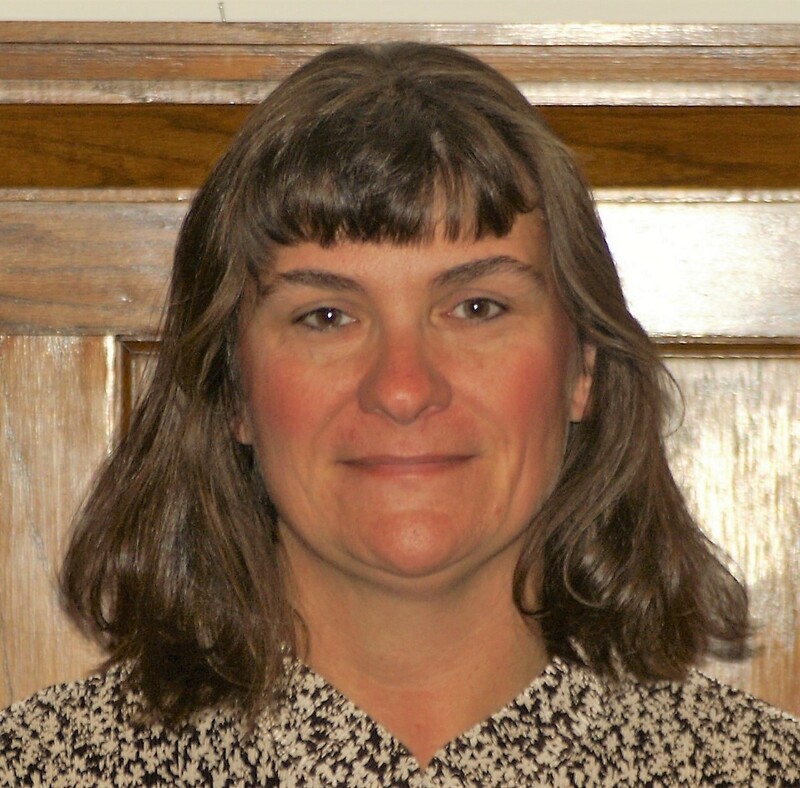 Dr. Hedda Meadan is an Associate Professor at the Department of Special Education at the University of Illinois, a Goldstick Family Scholar, and a Board Certified Behavior Analyst. Dr. Meadan’s areas of interest include social-communication skills and challenging behavior of children with autism and other developmental disabilities and intervention methods to enhance these spheres of functioning. Toni Miguel is an advanced doctoral candidate in the School of Education at The University of North Carolina at Chapel Hill. Her research interests include coaching models of professional development and teacher education, evidence-based practices to support the social-emotional health and competence of young children, and models of inclusion for young children with disabilities and their families. She is also a parent of a young child with severe-profound bilateral hearing loss. Challenging Situation? Create an Adaptation. Say What? Don’t Be Fooled! When Children Use Assistive Technology, So Do You! Be Prepared. Dr. Young is an Assistant Professor (ECE) at Northern Illinois University, preparing educators to employ evidence-based practices to meet children’s needs. Previously, she guided development of MTSS frameworks while serving on leadership teams at a blended/inclusive, award-winning preschool honored for its MTSS early literacy and prosocial skill-building practices. Drs. Carta and Young have co-edited a book and six instructional videos titled MTSS for Young Children: Driving Change in Early Education. 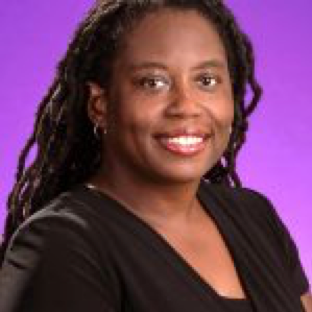 Dr. Deserai Miller has a broad range of research, teaching, and practice experiences focused on supporting young children who have experienced trauma, and receive special education services. Dr. Miller worked in the field of special education as a licensed clinical school social worker for 10 years before starting her doctoral work. In addition to teaching undergraduate and graduate level courses in both the School of Social Work, and the Department of Special Education at the University of Illinois, she has presented at national and international conferences related to her work around the provision of trauma-informed care though the delivery of special education services. 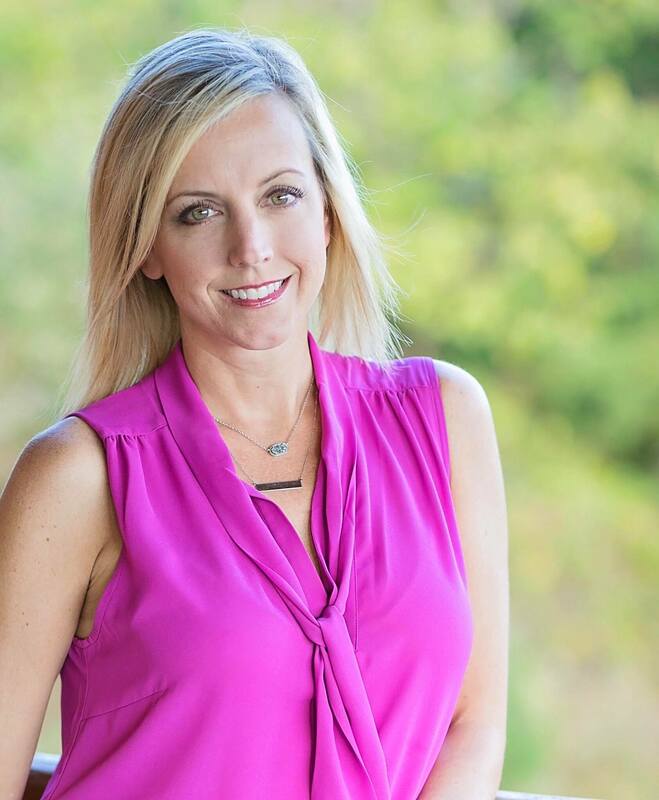 Mary Beth Moore is a mother of four and a professional special education advocate. She gained her passion and knowledge of advocacy while enduring an 18 month battle over access to feeding therapy in schools. In her role as a mom of a special needs child and an advocate, she has become a trusted adviser to parents and professionals alike. Mary Beth and her husband Chris founded White Hawk Advocacy, named after their son Gavin whose name means White Hawk of Battle. They are dedicated to improving the lives of children with disabilities, building strong community connections and supporting schools on the journey to inclusion. As a 14-year veteran of the United States Marine Corps, Purple Heart recipient with three combat deployments, Chris has learned valuable lessons in building strong teams. He has sat around countless IEP tables as a parent and professional advocate and seen first-hand how failing to operate as a true team is detrimental to the progress and well-being of children with disabilities. Demetrius Morgan is a Certified Teacher of the Visually Impaired and Certified Orientation and Mobility Specialist at Miami Lighthouse for the Blind and Visually Impaired. Ms. Morgan earned a B.S degree in Visual Disabilities and a Master’s of Science in Curriculum & Instruction specializing in visual disabilities. Ms. Morgan joined the Miami Lighthouse team in 2017 and co-teaches at the center’s inclusionary program for children with visual impairments. She plays a key role in implementing research model fidelity. Co-Presenter: Research-based practices for supporting students with and without visual impairments. 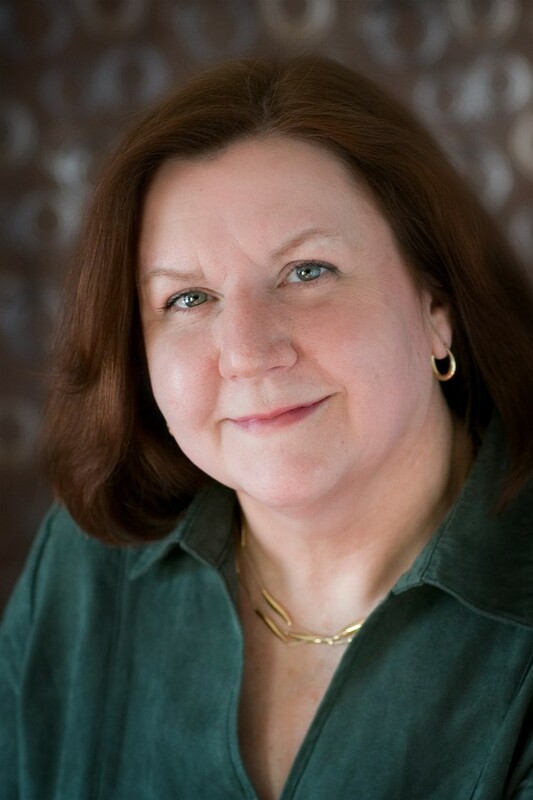 Karen Nemeth is a speaker, consultant, and author specializing in supporting young children who are dual language learners in early childhood programs. She has published more than ten books and many articles on this topic. 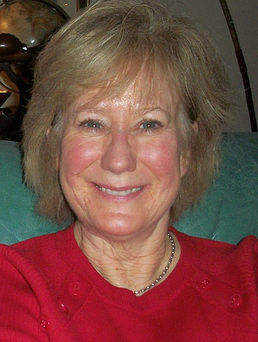 She hosts a resource website, www.languagecastle.com , and has worked with programs, school districts, and organizations throughout the country. Jen Newton currently serves as an assistant professor of special education at Ohio University. Prior to earning a doctorate in special education at the University of Kansas, she served as an early interventionist, inclusive prekindergarten teacher, and family educator in North Carolina. Dr. Newton's research interests include strengths-based approaches to families, early childhood inclusion and equity, and inclusive teacher preparation. She is actively involved in the Division of Early Childhood’s Inclusion, Social Justice, and Equity Committee nationally, in addition to local and state leadership roles. Amy Nicholas, Ph.D., is a Technical Assistance Specialist with STEMIE and the Early Childhood Technical Assistance (ECTA) Center. In this role, she supports states with developing and maintaining effective and efficient systems of services for infants, toddlers, and preschoolers with developmental delays and disabilities, and their families. Her work focuses primarily on implementation and scale-up of evidence-based practices, high-quality data systems, and strengthening family-professional partnerships. Tam started her early learning journey as an autism therapist at the Experimental Education Unit (EEU) and has been in the field for close to 20 years. 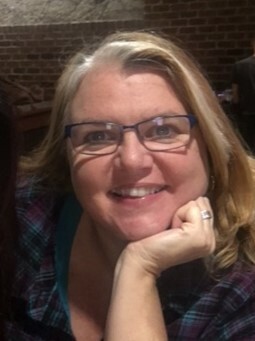 She earned a Master’s degree in Education in Early Childhood Special Education from the University of Washington (UW) and has served as a research assistant, head teacher, home visitor, autism specialist, and Curriculum Specialist with the National Center on Quality Teaching and Learning (NCQTL). She is currently a Content Specialist and project liaison for Cultivate Learning at UW. 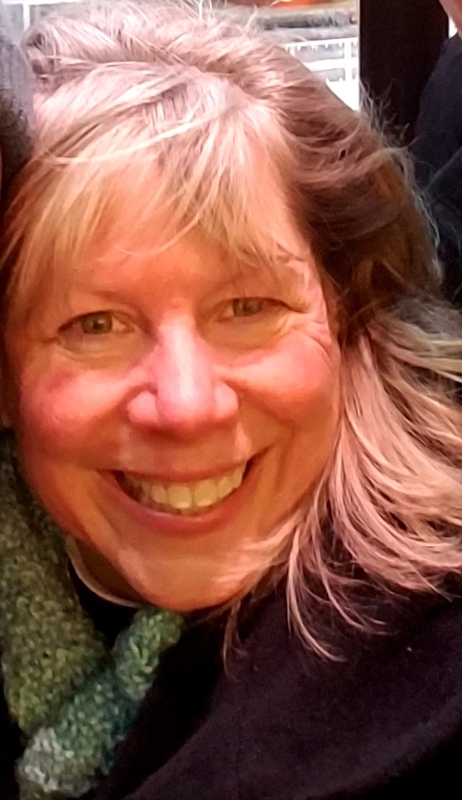 Michelle Ogorek has been working in the field of Early Childhood for over 25 years as a provider, a mentor, a diagnostician, a program support teacher, administrator and currently as the Statewide Early Childhood Coordinator for Wisconsin. Educational background includes an undergraduate in Early Childhood Special Education, a Master’s Degree in Curriculum and Instruction and an additional degree in Administrative Leadership. Assessing Quality Inclusion: What’s Next? 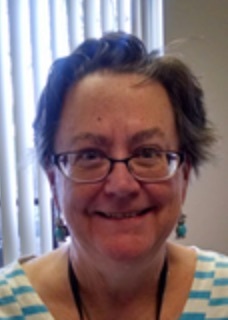 Jennifer Olson has experience in various settings in the field of early childhood education and care. Her experience includes working with families of children with disabilities and taught coursework in family engagement, language development, and teaming for professionals earning degrees in early childhood special education. She is currently a Sr. Training and Technical Assistance Specialist for the National Center on Parent, Family and Community Engagement. Michaelene M. Ostrosky is Head of the Department of Special Education at the University of Illinois. She has been involved in research and dissemination on the inclusion of children with disabilities, social emotional competence, and challenging behavior. Professor Ostrosky is a former editor of Young Exceptional Children (YEC), and the co-editor of several YEC monographs. She co-authored the Making Friends book (2016), which supports the acceptance of individuals with disabilities, and The Project Approach for All Learners: A Hands-On Guide for Inclusive Early Childhood Classrooms (2019). Dr. Palsha has 40 plus years experience working with children and families. She spent eight years as a special education teacher before attending graduate school. 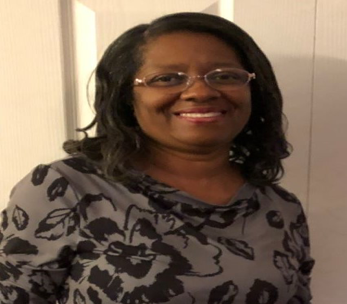 She earned her doctorate in Education from the University of North Carolina at Chapel Hill with a concentration in Early Childhood and Early Childhood Special Education. She worked as a Clinical Associate Professor at UNC for 15.5 years preparing students as early childhood educators who will teach young children, ages birth to 5. Before taking the job as a professor, Dr. Palsha spent 15 years as a researcher at the Frank Porter Graham Child Development Institute. Sharon was excited to work on the Inclusion Institute Planning Committee this year assisting in bringing a Resiliency Informed Practice thread, an new passion for her, to this year’s Institute. Co-Presenter: RESILIENCE: The Biology of Stress and the Science of Hope "The child might not remember, but the body does." Dr. Jamie Pearson is an Assistant Professor of Special Education in the Department of Teacher Education and Learning Sciences at North Carolina State University. Dr. Pearson’s areas of research include: investigating disparities in the diagnosis of autism and access to services for minority families, and assessing the impact of parent-advocacy and empowerment training on family dynamics and child outcomes. Julie Paige Pittman was called to be an educator and community builder. She is a proud graduate of Johnston County Public Schools, and earned a Bachelor of Arts in Political Science and Speech Communications, as well as a Master of Arts in Communication Studies from the University of North Carolina at Chapel Hill. She held teaching positions at UNC-CH, Rutgers University, New York University, and Central Piedmont Community College, as well as worked in professional theater while in NYC. In 2003, she joined Rutherford County Schools as a high school English teacher at R-S Central High School, and is currently the NC Western Region Teacher of the Year. Outside of school, Julie is a wife and a mother of twin daughters, and is also a member of several civic and community groups in Western NC and across the state that support education, women, children, and communities. She thrives on motivating students to find their own voices and roles as citizens of this world, as well as inspiring fellow teachers to grow their skills by expanding their classrooms into the global community. Ultimately, she believes each of us shares a role in supporting and nurturing all students, and thus shaping our collective future. Alissa Rausch, EdD is a Postdoctoral Research Fellow in the Positive Early Learning Experiences (PELE) Center at the University of Denver. Previously, she has worked as clinical faculty in ECE and ECSE. Her work in higher education blossomed from 15 years of practice as an early childhood educator working in inclusive preschool classrooms serving young children and their families. Alissa also had the privilege of serving children from diverse backgrounds and their families in their homes and in community settings. Her current work centers on supporting leaders and practitioners to build their capacity to for high quality early care and learning and inclusion of children with varying abilities. 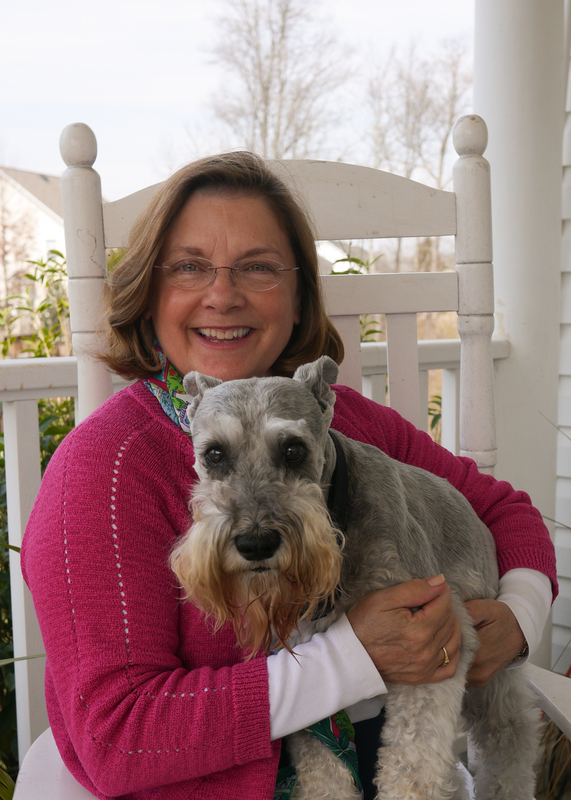 Laurie Ray has 19 years of experience in school-based practice in North Carolina. 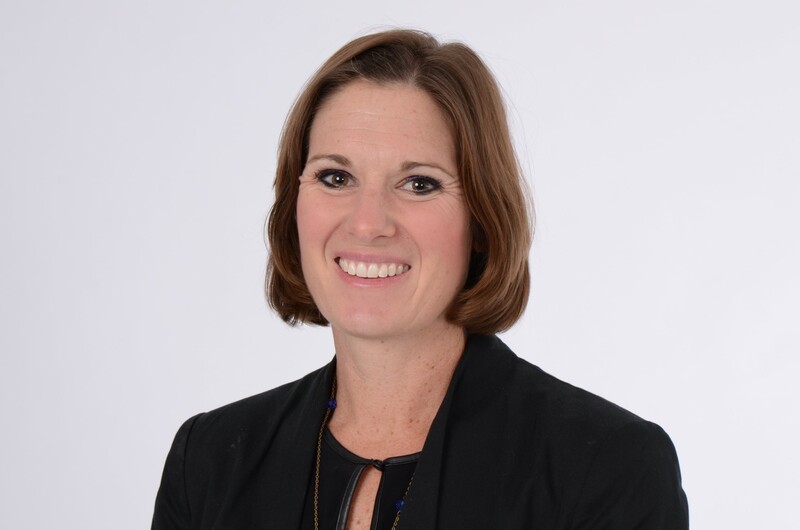 Laurie has served North Carolina as the Physical Therapy Consultant for NC Department of Public Instruction (NC DPI) since 2005, Medicaid consultant since 2006 and Adapted Physical Education liaison since 2010. She received her MPT and PhD (in Special Education) from UNC Chapel Hill where she is an Associate Professor in the Division of Physical Therapy. Laurie currently serves the APTA’s Academy of Pediatric Physical Therapists (APPT) as Chair of the School Special Interest Group (School SIG) and on the APPT Policy, Payment and Advocacy Committee. She is a reviewer for Pediatric Physical Therapy and on the editorial board for Pediatric Occupational and Physical Therapy. Laurie previously served on the Boards of the National Alliance of Medicaid in Education and the NC Vocational Rehabilitation Council. Stephanie Reszka has worked with young children with ASD as an educator, interventionist, and researcher for over 15 years. Dr. Reszka’s work interests include classroom-based interventions for children with ASD, with a focus on social development in preschoolers. She is also interested in the effects of classroom environments on child development, assessment and measurement of social development, and promoting family involvement in classroom-based interventions. 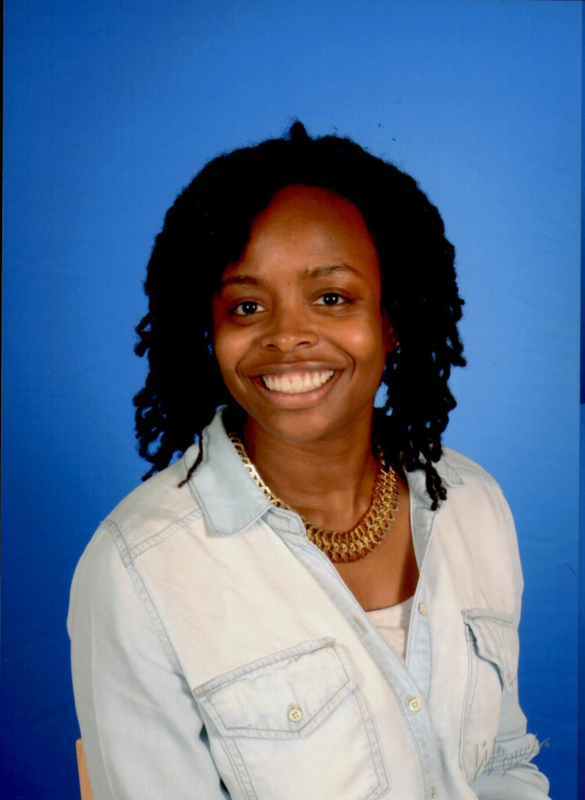 Tremaine Riley, LCSWA is a Licensed Clinical Social Worker Associate working for Orange County Head Start & Early Head Start in Hillsborough and Chapel Hill NC supporting early education inclusion and social emotional wellness. Tremaine has experience in elementary education, mental health and behavioral health consultation, and promoting family advocacy of children with disabilities. 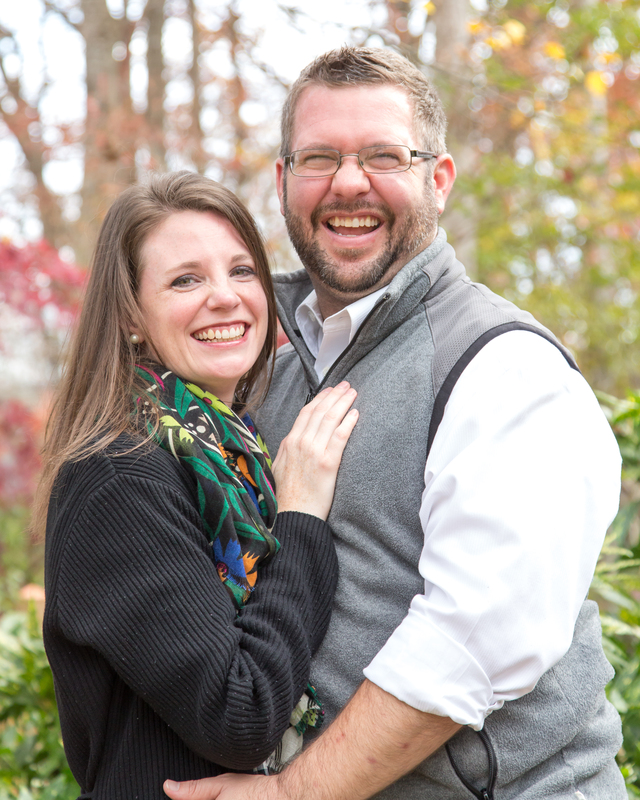 Dathan is the Director of the Family, Infant and Preschool Program in Morganton, North Carolina. He has coauthored the texts Coaching Families and Colleagues in Early Childhood Intervention, The Early Childhood Coach­ing Handbook, and The Early Intervention Teaming Handbook: The Primary Service Provider Approach. Dathan has also written several articles and book chapters. He has consulted with numerous states and programs across the country as well as internationally and provides training related to coaching, teaming, and providing early interven­tion services within natural environments. Karen is an EC Program Support Teacher. She has taught in the field as an Early Interventionist in Birth to Three programs, an ECSE teacher, a 4K teacher and a 5K teacher for over 25 years. Her current work supports teachers and school districts around Madison, WI as they implement best practices for young children and their families. Karen is also the proud parent of 3 beautiful children, one of whom is gifted in gymnastics, loves fashion, creates amazing slime and who is identifying as transgender. Dr. Ann Sam is an Advanced Research Scientist at the Frank Porter Graham Child Development Institute at UNC-Chapel Hill. Dr. Sam’s work includes developing online, self-paced learning modules for the identified 27 evidence-based practices for children and youth with autism and examining the impact of professional development models on increasing the use of evidence-based practices for students with autism. Dr. Susan Sarver is the Director of Workforce Planning and Development at the Buffett Early Childhood Institute at the University of Nebraska. She works with the Nebraska Early Childhood Workforce Commission to develop a comprehensive plan for expanding and strengthening systems to ensure a skilled, informed, and diverse early childhood workforce in Nebraska and the nation. Her research has been devoted to studying rural families living in poverty as well as continuity between parents and teachers. Sarah Sexton is the Associate Director at the Family, Infant and Preschool Program (FIPP) and has degrees in Early Childhood Education, Special Education, and Educational Leadership. She is currently working on her doctorate at Appalachian State University. She has worked in and provided professional development for the early childhood field for more than 20 years. Sarah has developed expertise in capacity-building family support and early intervention practices as a provider, an administrator, and--early in her career--a recipient. 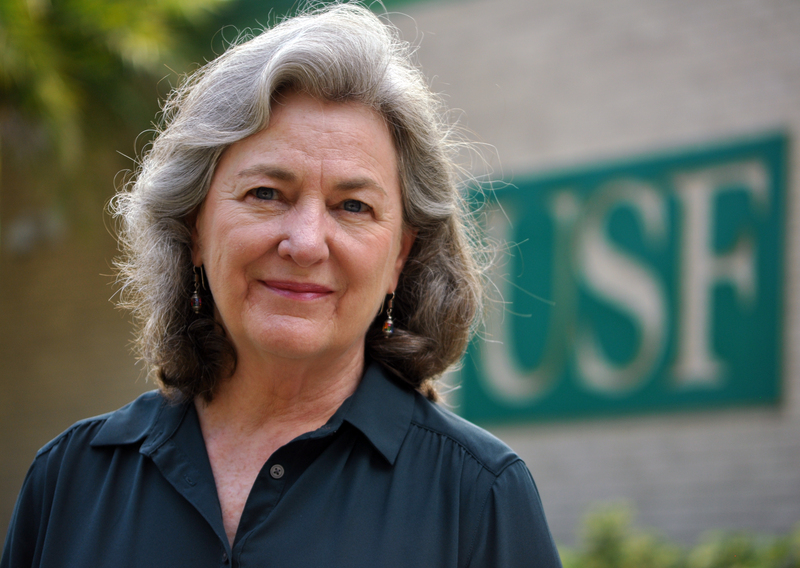 Patricia Snyder is a professor and the David Lawrence Jr. Endowed Chair in Early Childhood Studies at the University of Florida. She is the director of the Anita Zucker Center for Excellence in Early Childhood Studies, which has been a collaborative partner with the Center on the Social and Emotional Foundations for Early Learning (CSEFEL), the Head Start Center for Inclusion, and the National Center for Quality Teaching and Learning (NCQTL). Her research focuses on embedded instruction for early learning, young children’s social-emotional and behavioral competence, instrument development and validation, and professional development. As part of IES-funded research with colleagues on embedded instruction and Pyramid Model practices, she led the development, refinement, and evaluation of the practice-based coaching framework. Dr. Snyder has been involved in supporting inclusion and the implementation of evidence-informed inclusive practices in early intervention and preschool programs for 41 years. 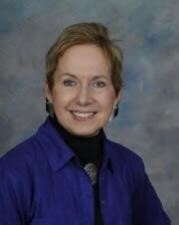 She is a former editor of the Journal of Early Intervention and is a member of the DEC Recommended Practices Committee. Elena Soukakou is an Honorary Research Fellow in the School Education, University of Roehampton, United Kingdom. Dr. Soukakou has been working in the field of early childhood inclusion and special education for over 15 years as a researcher, early intervention specialist, and consultant in the United States, United Kingdom, and her home country, Greece. Her areas of interest include classroom practices that support inclusion in early childhood, quality assessment in inclusive programs, and models of professional development in early childhood. Dr. Soukakou is the author of the Inclusive Classroom Profile (ICP), a classroom assessment measure designed to assess and support the quality of inclusive practices in early childhood settings. 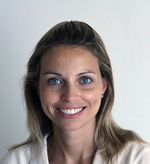 For her research and work on the ICP assessment system, Elena has been awarded in 2013 the Distinguished Early Career Award of the Early Education and Child Development Division of the American Education Research Association. Elena enjoys working collaboratively with students, researchers, practitioners, and leaders in the field to improve the quality of education and care for young children with disabilities and their families. Jessica Dykstra Steinbrenner worked as a speech-language pathologist before returning to get her PhD. Her primary research interests are in school-based interventions for children with autism spectrum disorders (ASD). She has worked across a wide range of ages, conducting research in preschools, elementary schools, and high schools. Dr. Steinbrenner is especially interested assessment and intervention related to social-communication and supporting individuals with ASD who are minimally verbal. Dr. Phil S. Strain is James C. Kennedy Endowed Chair in Urban Education at the Morgridge College of Education and Director of the PELE Center, University of Denver. He is the author of over 300 scientific publications, has served on the editorial boards of 22 professional journals and has been Principal Investigator or Co-Investigator of grants and contracts totaling over 80 million dollars. He is particularly interested in expanding inclusive preschool options, comprehensive services for young children with autism and prevention and intervention for children with challenging behaviors. Ginger has worked in the Early Childhood field for over 30 years as a classroom teacher, center director, family child care provider, early interventionist, community college instructor and most recently as an Infant Toddler Specialist. She has spent her adult life advocating for young children and their families serving on non-profit boards and committees of local child care resource and referral agencies, Smart Start agencies and pregnancy centers. Ginger enjoys and feels strongly that educating the early childhood workforce is important. 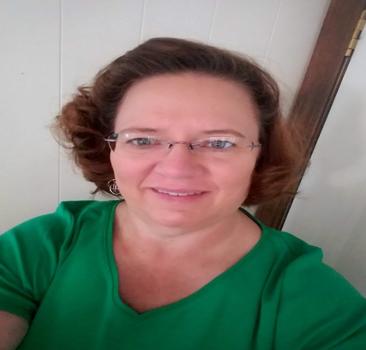 She has served on the planning committees of several conferences including the Building Quality Child Care Conference in Martin County and the state NC-aeyc conference. Ginger graduated from East Carolina University with both a Bachelor’s and Master’s Degree in Child Development and Family Relations. Carol Trivette, PhD, currently a professor at East Tennessee State University, was a researcher at the Orelena Hawks Puckett Institute for over 25 years. The emphasis of her intervention research is to enhance the competence and confidence of families of young children, who are at risk or have developmental disabilities. The work she describes here concentrates on using only family strengths to advance individual, culturally appropriate interventions. 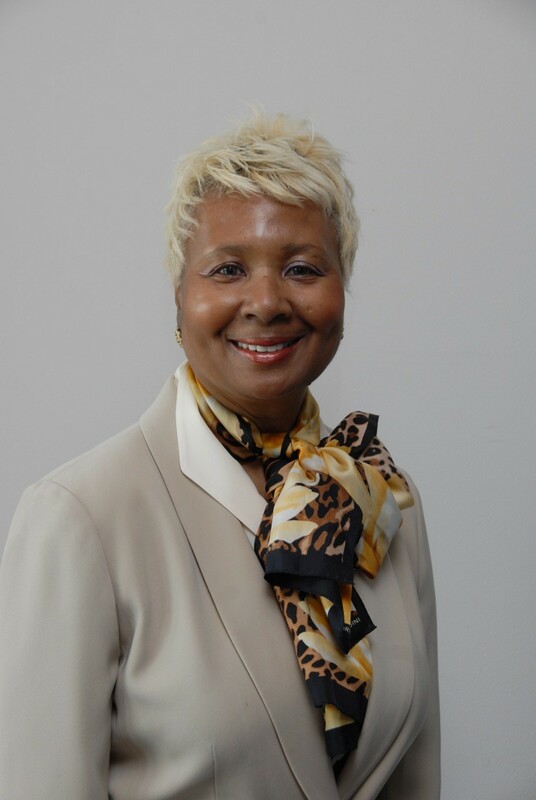 Sharon Walsh currently provides consultation to state and local agencies on the implementation of Part C and Part B of IDEA She works as a consultant on the federally funded Early Childhood Technical Assistance Center (ECTA) and the Center for IDEA Early Childhood Data Systems (DaSy). Sharon also serves as the Governmental Relations Consultant for the Division for Early Childhood of the Council for Exceptional Children (DEC) and the IDEA Infant and Toddler Coordinators Association (ITCA), which is the national association representing the state Part C lead agencies.